Joe Deedon was employed as a Law Enforcement Officer from 2002-2010. He was a tactical operator with a SWAT team from 2005 -2009. Joe was a Kaminsky certified FTO and was assigned to the Patrol Division where he trained newly assigned patrol Deputies. 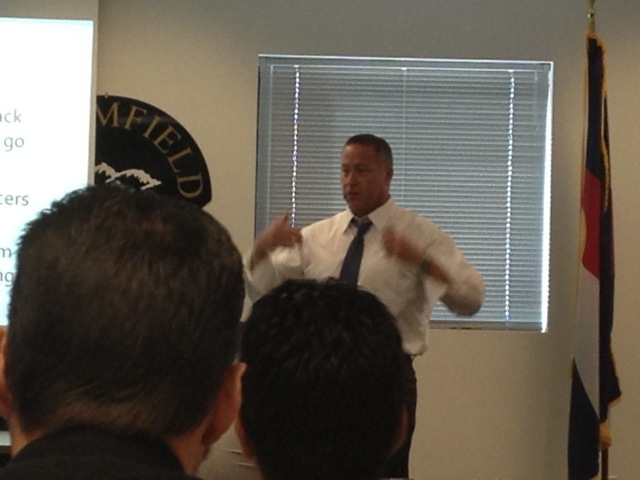 He has also instructed newly hired Officers and Deputies from around the metro area that attend a Regional P.O.S.T. certified Academy in the following areas; Building Searches, RAID, Traffic Stops and Crowd Control. Joe is currently a certified NRA Firearms instructor as well as a Simunitions Scenario and Range Safety Instructor. In November of 2006 Joe received the Distinguished Service Medal and the Park County Sheriff ‘s Commendation for his actions during the Platte Canyon High School incident. In May of 2007 Joe received the Medal of Valor for his actions during an officer involved shooting with a barricaded gunman. In May of 2008 Joe received the Distinguished Service Medal for his involvement in a high speed chase with and apprehension of a shooting suspect. In February of 2010 he responded to the Deer Creek Middle School shooting involving Dr. Benke which would be his second response to an active gunmen. Joe returned from a Mission in Afghanistan in early 2011 where he was an Embedded Police Mentor with the Marine Corps. The experience further enhanced his capabilities, skill sets and TAC*ONE Consulting’s operations. Since 2007 Joe Deedon has instructed several thousand hours of active shooter and tactical training for officers from various law enforcement agencies nationwide. Started at Idaho Falls P.D. In 1992 where he worked patrol, was an FTO, and finished his last two months having been put on the part time swat team. In 1995, Doug hired on with a major metropolitan police department. He has worked Patrol, as a Resident Officer in Laughlin, Narcotics for 5 years, and is now in his 9th year of SWAT. He has been an explosive breacher ( 5 years ), a sniper (3 years ) and recently assigned as an assistant team leader. Over the years he has helped teach numerous SWAT schools to officers from throughout the United States, Canada, and Mexico, and has helped teach 5 explosive breaching schools on behalf of the U.S. state department to 5 of our Allie Countries from the Middle East. Brian “BP” Pollard is originally from up-state New York but has been a Las Vegas resident for 38 years. He has served on the Henderson Police Department for the past 21 years. His assignments include 14 years of service on the Department’s full time SWAT team, where he worked as sniper, breacher, grenadiere, entryman, Team Leader and Team Training Coordinator. He served 5 years in the Patrol Division and 2 years in his current position with the Training Bureau, focusing on Advanced Officer Survival tactics.Brian has been an Acting Sergeant, O.I.C. and Field Training Officer to name a few. He has been decorated 7 times including 2 Valorous Conduct awards, a Unit Meritorious Service Citation, an Exemplary Service Medal, the Department’s Life Saving Award, an Officer of the Year Commendation from the Henderson Rotary Club and a Hero’s with Heart award from Southern Nevada Trauma Intervention Program.His certifications include Firearms Instructor (handgun, rifle shotgun and sub-gun), Defensive Tactics Instructor, Less Lethal Instructor, Taser Instructor, EVOC instructor, Use of Force Analyst (Force Science Institute), Use of Force Litigation Specialist (AELE), expert witness in SWAT tactics and use of force to name a few.Brian’s long time commitment to public safety and keen interest in Active Shooter Incidents, SWAT Schools and Officer-Down Survival Skills have led him to develop and implement a response protocol joining Police and Fire Department supervisory and line personnel in responding to mass casualty incidents. As an appointed member of the Training Bureau Critical Incident Response Team, Brian responds to officer involved shootings and major use of force incidents to review the situation from a training perspective. Brian also sits on the department’s Police Action Review Committee. Brian has passion and enthusiasm for police work and it shows when he speaks publicly and conducts training evolutions. In addition to his commitment to public service, Brian is a devoted husband to his wife Aimee and father to his two children, Zach and Addison. He enjoys being at home or outdoors with his family and playing softball, golf, football and basketball in his free time. Mike is employed with a large Metropolitan Police Department in the Southwest United States. He is ready to begin his 18th year on the Department. During that time Mike has worked as a Patrol Officer, a Robbery Detective, and as a SWAT Officer. He has been assigned to SWAT for the last 9 years. While in SWAT Mike has served as an Assaulter, Gas / Low Lethal Operator and for the last 7 years as a Sniper. Mike also functions as an Armorer for his team. 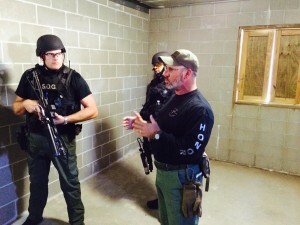 Mike has been a firearms instructor since 1999 and is certified by the NRA and the FBI. Additionally, Mike is certified as a Sniper instructor, holding certificates from GPS Defense, the FBI and the NRA. Mike also has duties as an instructor for his team. His primary areas of interest are in Rural Operations / Small Unit Tactics and in Dignitary Protection. Serving as a member of a Narcotics Task Force, Mike has extensive training and experience relating to the detection, interdiction and eradication of outdoor Marijuana grows. Mike has many years of experience related to Dignitary Protection. Having been involved with the USSS on details with POTUS, VPOTUS, and FLOTUS. Acting in both Counter Sniper and Counter Assault roles. Additionally, Mike works closely with the US Capitol Police in Motorcade and Close Protection of many members of Congress including the Speaker Of The House, Senate Majority Leader, and the Senate Minority Leader. Mike has instructed many specialized units, other than SWAT, on both his Department and other Law Enforcement Agencies. 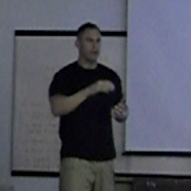 Topics that he instructs include: Building entry, Room clearing, Hostage Rescue, Active Shooter, Vehicle Assault / Interdiction, Downed Officer / Citizen Rescue, K-9 / SWAT Interaction, Decoy Operation Techniques, and Surveillance. Dave Kleiber compiled a 28-year concurrent law enforcement and military career. He served the last 11 years in US Army Special Forces units. He has an extensive amount of experience as an international marksmanship champion being one of only 499 Double Distinguished Marksman in the history of the United States Army. 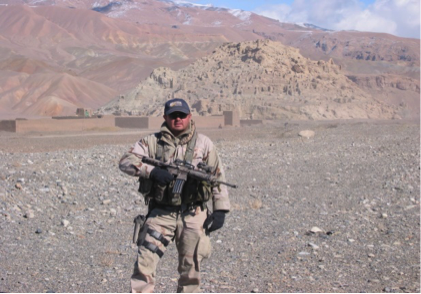 For the past 20 years Dave has been a law enforcement firearms instructor and instructor trainer, SWAT team commander, US Army Special Forces skills instructor, and is a combat veteran having served with US Army Special Forces units in Operation Iraqi Freedom I and Operation Iraqi Freedom II. Dave is a Colorado POST Firearms Full Skills Instructor. 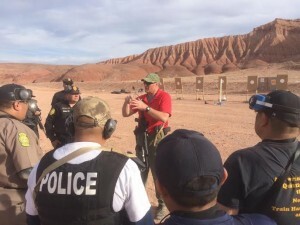 He has served on the Colorado POST Firearms Subject Matter Expert Committee, helping to create and regulate the firearms curriculum taught in the Colorado Law Enforcement Training Academies. He has been the lead firearms instructor for a Colorado Law Enforcement Training Academy, and currently is one of the primary instructor trainers for the Colorado POST / County Sheriffs of Colorado handgun and carbine instructor certification programs. 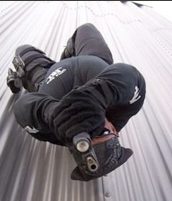 Dave has developed and refined his methods of instruction by training military and law enforcement personnel from across the globe, including Iraq, Jordan, Oman, Korea, Germany, Slovenia, Poland, England, Canada, Australia, South Africa, Russia and throughout the United States. Rich worked as a police officer with Las Vegas Metro for over 19 years. He started out as a Patrol Officer in Las Vegas and a Resident Officer in rural Laughlin Nevada. While in Laughlin he was assigned to a Tri-State Narcotics task force (NV, AZ, & CA) for ?? years where he worked in an undercover capacity. After being assigned to narcotics full time, Rich was assigned to a HIDTA DEA Task Force for 5 years, where he again worked as an undercover detective. Since 2003 Rich was assigned to SWAT where he responded to well over 2000 critical incidents involving Hostage Situations, Barricaded Subjects, and the service of High Risk Search Warrants. While being assigned to SWAT, he has been responsible for training the 2000+ patrol officers in Las Vegas in the areas of Active Shooter Response, Building Search and Room clearing techniques, downed Officer/Citizen Rescue, as well as other officer survival classes. 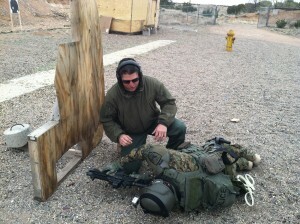 Additionally, he is an instructor in annual Intermediate SWAT schools and Basic Sniper schools, taught by LVMPD. During his last ten years at LVMPD Rich was assigned as an entry officer, and a chemical munitions/low Lethal officer and was certified as an instructor in both areas. For five years he was assigned as a Sniper and holds Sniper Instructor Certifications from the LVMPD and the FBI, as well as from GPS Defense, which is a government contracted sniper school, certified in the areas of Basic Sniper, Counter Sniper, and Advanced Sniper Instructor. Rich also was assigned for three years as an Explosive Breacher. Currently, Rich is working with a large agency in the pacific northwest. Brad has been employed by a major metropolitan in the southwest for 10 years where he served three years in patrol. During his time in patrol, Brad was assigned to a street crime team where he conducted gang enforcement and street level narcotics investigations. Additionally, Brad completed a TDY to the Robbery Section, where he conducted numerous undercover robbery decoy operations. Since 2011, Brad has been assigned to the SWAT team. In that time he has taken part in 300+ tactical missions, including High Risk Search Warrants, Arrest Warrants, and Hostage/Barricaded Subject situations. 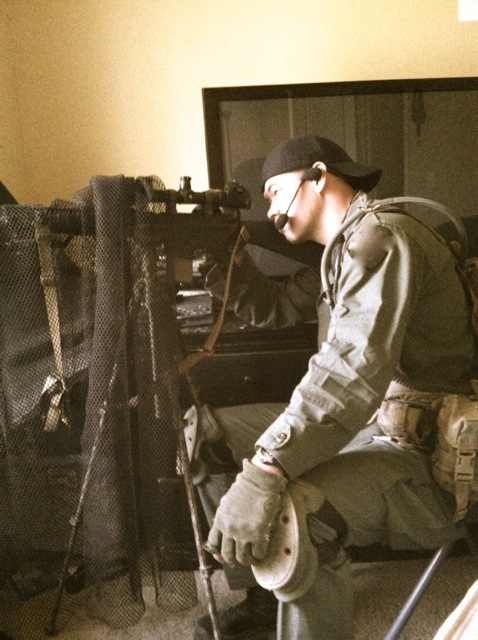 He has worked as an entry officer, a gas/less lethal officer, and is currently assigned as a sniper on the team. While being assigned to SWAT, he has been responsible for training the 2000+ patrol officers in Las Vegas in the areas of Active Shooter Response, Building Search and Room clearing techniques, downed Officer/Citizen Rescue, as well as other officer survival classes. Additionally, he is an instructor in annual Intermediate SWAT schools and Basic Sniper schools, taught by his department. Brad spent the next five years assigned as a detective in the Financial Crimes Section. During this time, Brad was selected to a joint taskforce with the FBI, targeting Eastern European Organized Crime Groups. He was the case agent in several long-term Title III investigations involving Eastern European Crime groups operating in the United States and abroad, as well as, joint investigations involving law enforcement agencies from Canada and Europe. At the request of the DOJ and the International Association of Financial Crimes Investigators (IAFCI), Brad has trained numerous financial institutions, and state, local, and federal law enforcement agencies regarding the complex fraud schemes, and money laundering methods being utilized by these organized crime groups in the United States. 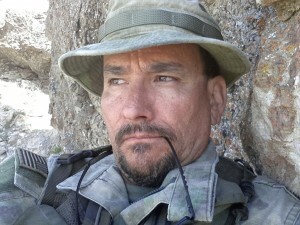 Brad holds an Instructor Certification for Chemical/Less Lethal Munitions and has Sniper Instructor Certifications from the LVMPD and GPS Defense; a government contracted sniper school, and is certified in the areas of Basic Sniper, Counter Sniper, and Advanced Sniper Instructor. 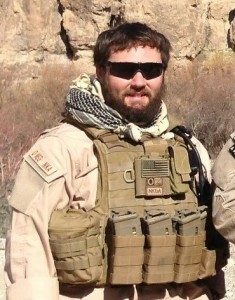 While at GPS defense, Brad won the honor of being the “Top Gun” for his class. 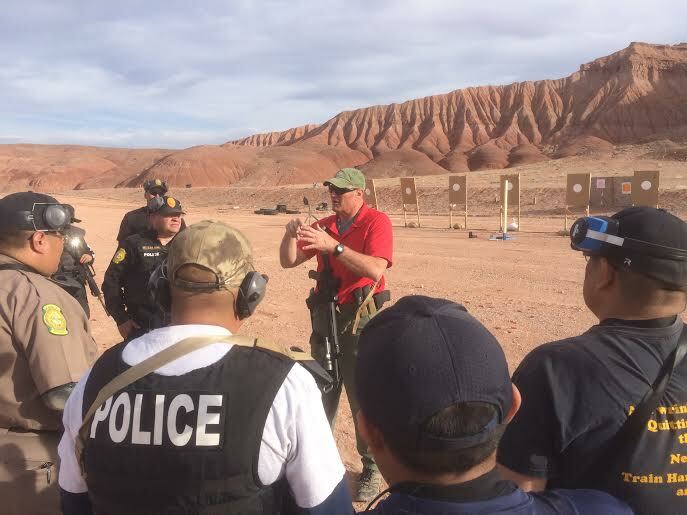 Additionally, Brad has been a firearms instructor for the past 6 years, having completed both the LVMPD and FBI instructor development schools. Brad attended Colorado State University and holds a Bachelor of Science Degree in Business Administration, with a concentration in Computer Information Systems. He is a member of the NTOA (National Tactical Officers Association) and the ASA (American Snipers Association). Troy initially retired from Police work in Colorado, in 2010. He was subsequently employed by the U.S. Department of State, Bureau of Diplomatic Security, as a SWAT Instructor from 2011 through 2012. Focusing on Physical Security and ‘Protective Security Detail’ protocols necessary to function in a ‘High Threat’ environment. Additionally, his unit served as ‘Monitoring and Oversight Inspectors’ of the multitude of Governmental contracting entities, in conjunction with the ‘Worldwide Protective Services’ project. Additionally, he accumulated extensive experience within the Physical Security arena during his nine years in the U.S. Navy, the majority of his career functioning as a ‘Special Weapons Security Operator’, safeguarding shipboard nuclear weapons. He currently maintain his Colorado P.O.S.T Certification via a ‘Reserve Police Officer’s Position with the Berthoud Police Department. As a police/tactical operations officer for many years in Colorado, he also developed an extensive background in Emergency Management/Critical Incident Response & Recovery, in addition to the myriad duties within the Tactical Policing arena. He accumulated well over 3,000 hours of specialized LE training. He has instructed approximately 4,000 Colorado Police Officer’s & Administrator’s, at the Academy level, intradepartmental, as well as Patrol and Tactical Operations Officer’s from outside Governmental and U.S. Military entities. Additionally, he has accumulated approximately 500 hours of training and field experience as an ‘Explosives Handler’ and ‘Explosive Entry Technician’. Due to his experience and service record, his agency turned to him to create their ‘Emergency Response Team’, Operational Policy and Procedure manual. He also served with distinction for7 years on the Colorado P.O.S.T. Board’s ‘Subject Matter Expert’, advisory sub-committee on ‘Advanced Officer Training.’ He functioned as the lead curriculum development specialist and ‘Training Guideline Compliance Officer’ during his tenure there. Jeff is a former police officer of 13 years in the greater Denver metro area. During that time he held numerous auxiliary positions such as SWAT team, SORT team, mentor-officer skills instructor, and UOF resource deputy. He is a certified instructor in FBI defensive tactics, PPCT, firearms (POST and NRA), driving, ground-tactics, and edged weapons. Since leaving full-time LE employment, Jeff earned a Masters Degree in Education-Workforce Development from Colorado State University. He is a certified expert witness for UOF cases and provides policy development consultation, curriculum design, instructor development, and contract instruction services to numerous law enforcement agencies and organizations. Currently, Jeff is a reserve deputy with a metropolitan area Sheriffs Office and is assigned to the training division and tactical unit. Jason is Tactical/ Search and Rescue Medic with five years of experience for a major metropolitan area police department’s Search and Rescue Detail in Nevada. Responsible as a team leader for medical responses to Search Warrants, Barricaded subjects and Hostage rescues. Operating as a Nationally registered emergency medical technician, with advanced protocols for airway intervention, bleeding control, and fluid resuscitation under TCCC guidelines. Also responsible for teaching and training new and current members of the police department, patrol medicine level classes. Operating as a team leader and medic on search and rescue missions for all of Clark county, neighboring counties, and states. Operating as a lead medic on marijuana grows for joint operations with local, state, and federal agencies. William is a personal security detail medic operator and educator. He has worked in EMS since 2008, 3 of those years spent in tactical and austere environments around the country and world. Prior to his time in EMS, William served in the US Marine Corps as an infantry Marine. His time was spent on multiple duties including details for the President of the United States, high ranking civilian and military staff, and celebrities. After his time in Washington D.C. he deployed with 1st Recon Battalion to Iraq in 2007 fulfilling a combat role as a team leader and machine gunner. He has formal personal security service training and has attended multiple tactical medic courses around the country. William currently operates for a major private security company and teaches various levels of tactical medicine in his off time to counter terrorism units and law enforcement officers domestically and abroad. Dr. Roosa is board certified in Emergency Medicine and Fellowship Trained in EMS. He currently works as an ER Doctor and EMS Medical Director at Level II and III trauma centers in the Denver area. He attended medical school at the University of Colorado and trained in Emergency Medicine and EMS at Maricopa Medical Center, the county hospital and Level I Trauma Center serving Phoenix, AZ. The provision of medical care outside of traditional clinical settings has been a focus of Dr. Roosa’s practice. As an EMT-Basic he was the unit leader of the Bay Area Mountain Rescue Unit providing wilderness medicine and search-and-rescue services in Northern California. He also participated in high-altitude research projects while a medical student at the University of Colorado. He currently is a supervisory physician on a federally deployable disaster medicine team. He is a member of the NAEMSP TEMS Subcommittee, the Special Operations Medical Association, and completed the CONTOMS Medical Directors course, Mesa Police SWAT School, ITLS Tactical Medicine Module A Course, and Advanced HAZMAT Life Support Provider and Instructor courses. As part of his sub-specialization in EMS, Dr. Roosa has worked with TEMS providers and SWAT teams addressing educational needs to provide appropriate medical care in the tactical environment. Dusty Whiting is a retired federal agent, but far from tired. He is the owner of Lone Ranger Resources LLC, a company specializing in rural crime scene mitigation. 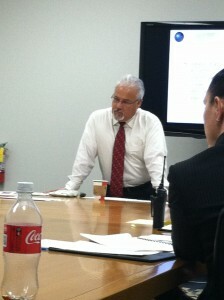 His 25 year federal career primarily involved investigation of violent crimes throughout Indian Country. He served 6 years as a Special Agent with the South Dakota Division of Criminal Investigation where he was on Special Response Team (SRT) and was cross trained an entry team member and hostage negotiator. 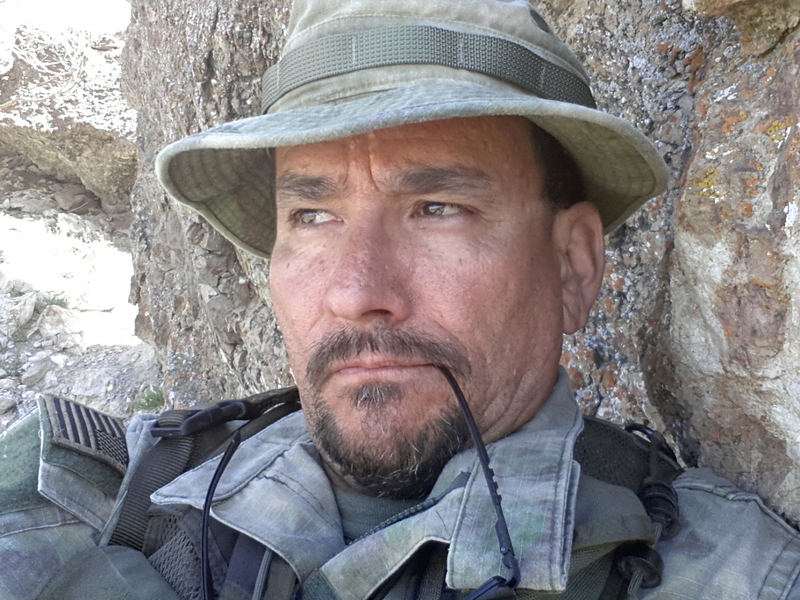 He served in many capacities as a state and federal law enforcement instructor, including 5 years as an Adjunct Instructor with the Backcountry Tactics and Tracking Training Program at Artesia, NM. Dusty has instructed hundreds of law enforcement and military personnel in various aspects of man tracking and tactical team movement. When you graduate from this class you will never look at the ground the same way again. Al DeLaCruz is a 23 year veteran of the National Park Service (NPS). Al coordinated and participated in law enforcement and search and rescue operations in TX, NM, AZ and CA. He developed his tracking skills during the course of his job working poaching, archeological theft and marijuana eradication cases and thru formal training. He participated in drug interdiction operations in NPS areas along the US, Mexican border. After his NPS career, Al signed on as an instructor at the Federal Law Enforcement Training Center, Artesia, NM (2004 -2011). While at FLETC, he was instrumental in the development and evolution of the Backcountry Tactical Tracking Training Program. Al was a lead instructor in the program. He conducted lectures and demonstrations in outdoor settings to basic law enforcement academy students, as well as, a variety of Federal, State and Local Law Enforcement Officers and military personnel in tactical tracking, land navigation and tactical team movements. Al is an avid outdoorsman and makes opportunities to practice his tracking and outdoors skills. Tom joined the U.S. Marine Corp in 1976 where he held various assignments as an infantryman, aircraft maintenance and Drill Instructor before ending his career with the Marine Corp in 1990. Tom joined the Colorado State Patrol (CSP) in 1991 and performed patrolling duties until 1995. In August of 1995 Tom joined the Executive Security Unit of the Colorado State Patrol which is tasked with Governor protection duties. During his tenure on the Executive Security Unit Tom worked the details of Colorado Governors’ Roy Romer, Bill Owens, Bill Ritter and John Hickenlooper. Tom attended US State Department Diplomatic Security School in 1996, CSP Dignitary Protection Training Class in 1998, The US Protection Academy in 1999, The USSS’ Governors Protection Seminar in 2005 and the TSA’s Federal Air Marshal Service Civil Aviation Awareness training in 2005. In June, 2010 Tom received the Colorado National Guard’s Meritorious Service Medal for meritorious services rendered in assisting the CNG in their missions of protecting and transporting foreign VIPs assigned to them. In December of 2003 Tom was promoted to Sergeant and became a detail supervisor until retirement in October, 2011. Tom’s duties as a detail supervisor included supervising the daily-scheduled Protective Agents to ensure that the Governor, First Lady and the First Family had transportation and security 24/7. Included in these duties was supervising the maintenance of the detail’s vehicles, scheduling transportation/security for any out-of-town/state/country trips that were up-coming, working with other local/state/federal agencies in case a VIP on any level visited Colorado and they were accorded protection by the Executive Security Unit dignitary protection members. These included, but not limited to Governors, Heads of State, foreign Mayors that needed protection and royal family members from several countries. Since joining the CSP Executive Security Unit Tom has worked closely with the USSS in their security packages numerous times due to his governor’s relationship to the POTUS. These included Presidents Clinton, Bush and Obama. Tom was also instrumental in building and facilitating CSP Executive Protection policy, training operational procedures. In 1998 the CSP started training their own Troopers. After training numerous members of multiple other state police agencies, Tom was delegated to put security packages for Republican, Democrat, Western and a New Governors Seminar. This work was instrumental in the success of the dignitary protection security during the Democratic Convention in Denver, Colorado on 2008. During this 4 day event, Tom worked with and assisted approximately 40 dignitary details in Denver. This was a success due to not only Tom’s dedication and experience but was a testament to the training that detail members nation-wide have received from Tom and his assistant instructors. Joe Dirnberger is currently employed as a Law Enforcement Officer for the State of Colorado. He has been heavily involved in the implementation of their new arrest control procedures and is currently an arrest control and ground fighting instructor for his department. Over the last year, Joe has trained hundreds of officers in arrest control and self-defense. He has attended numerous classes and training in a multitude of different disciplines. Joe believes that all of his training has taught him one thing, “Techniques need to be easy and based on natural instincts to be successful”. Robert Vasquez has been in law enforcement for over 16 years and is a Lieutenant with a police department in Santa Fe. Robert served in his departments SWAT Team for 10 years as the SWAT Team Leader/Assistant SWAT Commander. 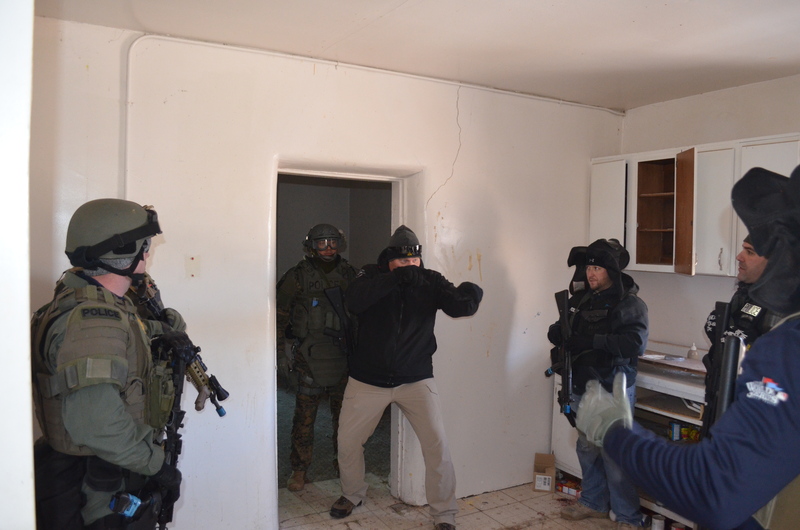 Robert holds various SWAT certifications: Robert has received national and Federal Bureau of Investigations certifications in the area of crisis negotiations, sniper basic and advanced certifications, less lethal and chemical munitions instructor, etc. Robert has received an Associate of Arts degree in Criminal Justice from the Santa Fe Community College and has earned an Undergraduate degree in Criminal Justice Studies from New Mexico Highlands University. Robert has received numerous awards within his career to include Law Enforcement’s most achievable award the Medal of Valor for a lifesaving act and the Medal of Distinguished Services for the hostage rescue of an adult female and her infant child. Robert has been in martial arts for approximately 18 years with emphasis in Aikido, Muay Thai, Boxing, and Brazilian Jiu-Jitsu. Robert is a Gracie Barra Brazilian Jiu-Jitsu black belt and is recognized as a professor in the respective art. Robert received his black belt from Professor Alberto Crane who is a well-recognized and respected Gracie Barra Brazilian Jiu-Jitsu senior black belt. Robert has competed in international world championships and has received a bronze medal while competing in the international World Brazilian Jiu-Jitsu no-gi world championships. Robert has received instructorship certification from the Gracie Jiu-Jitsu Academy’s G.R.A.P.L.E instructor program and is also a certified New Mexico defensive tactics instructor.